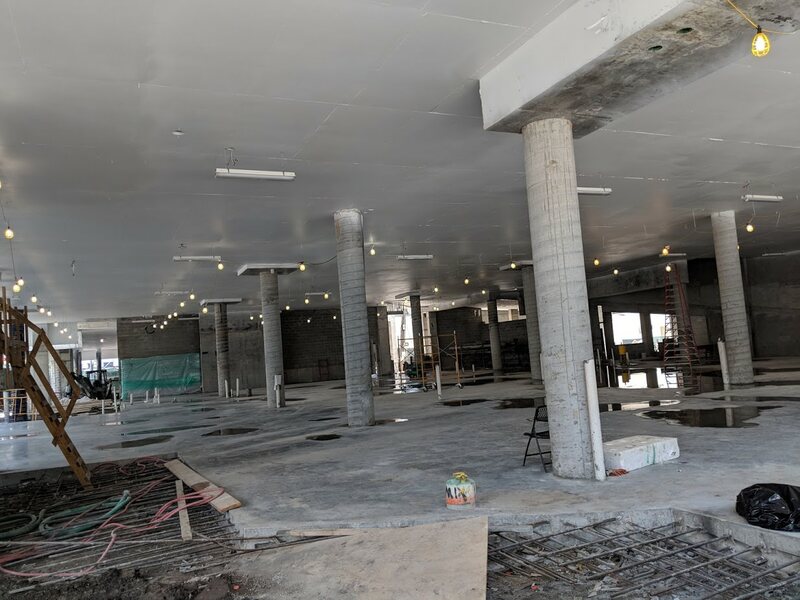 Here’s a look inside the Trader Joe’s currently under construction in South Beach. Trader Joe’s and other retail shops will occupy the ground floor of a five-story project called 17 West. 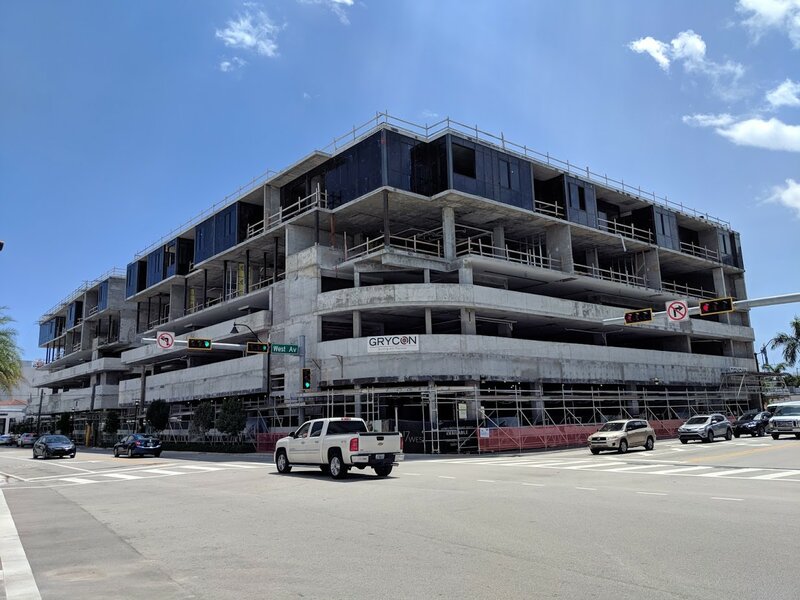 The second and third floor will be a parking garage, with the fourth and fifth floor residences. According to co-developer Elion Partners, delivery of the project is now scheduled for the first quarter of 2019. 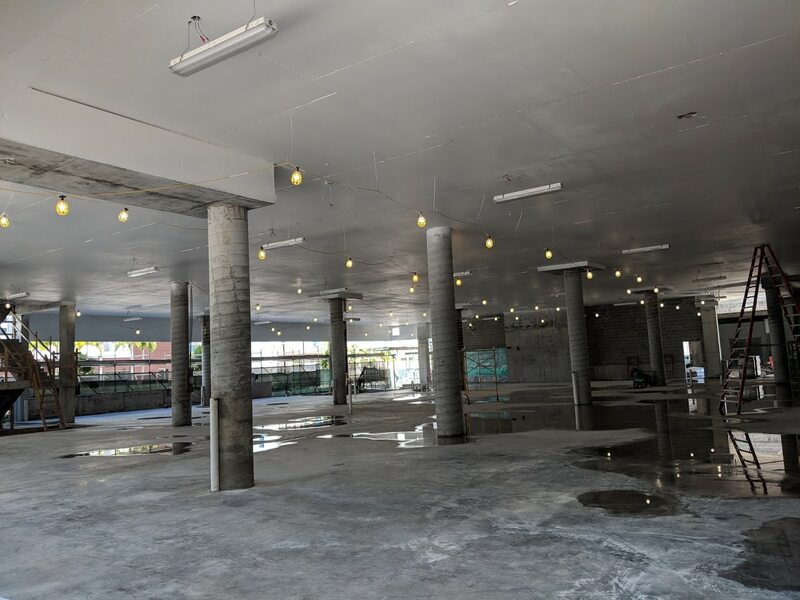 A Loopnet listing gives an occupancy date for retailers of May 1, 2019. Groundbreaking took place in April 2017. 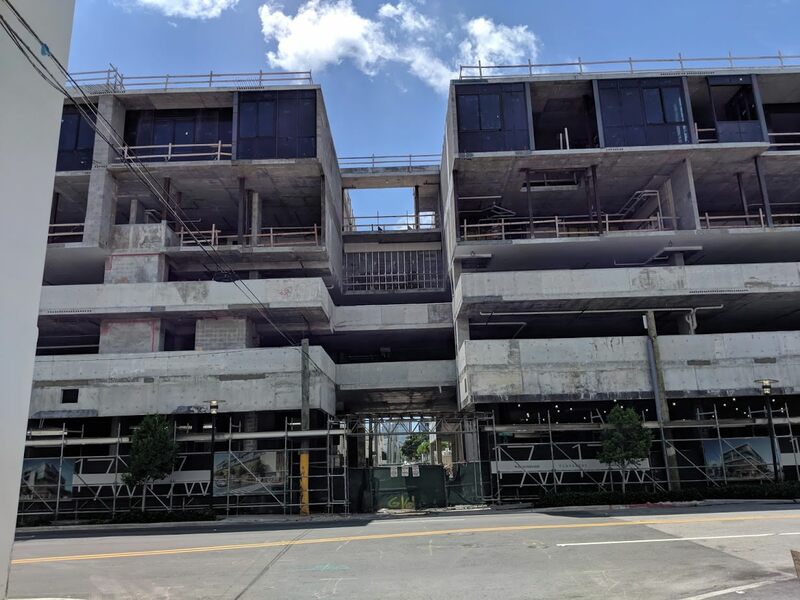 Too many people are whining about setbacks and the design of this building but you are same people who cry if a developer wants to build anything taller than five stories in this same area. Take out the hundreds of parking spots and you won’t need to build so high. Half this building is parking. Sad. But the place has a Trader Joe’s and other retail shops and residences on the fourth and fifth floor. If you can’t find a place to park your car when you come to shop at this place or park your car when you come home, what would be the sense of coming to or living in this building at all? As you know, parking is scarce on the beach. It is needed for TJ’s as well as the surrounding businesses. I agree that sometimes NIMBY-ism is a little inflammed on this forum but in some instances our municpalities are giving away the farm and really letting developers loose, I will argue that this is an example. 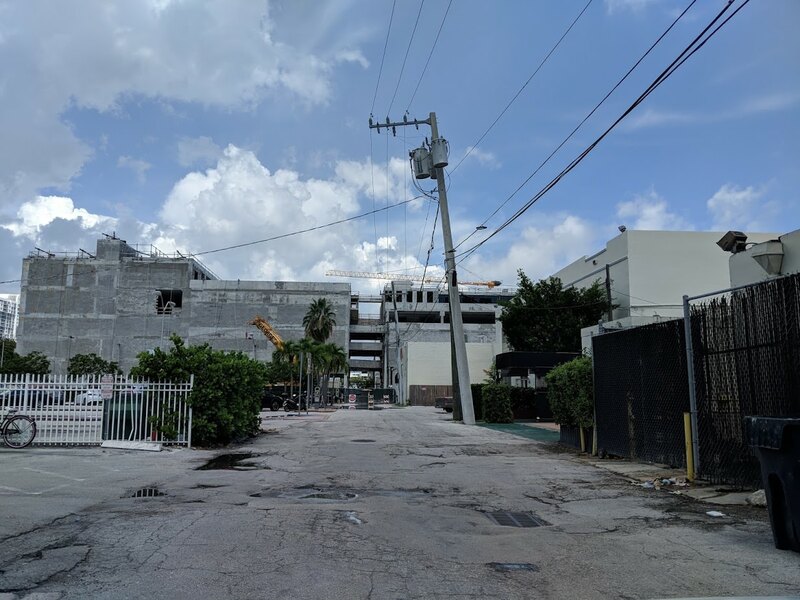 The redevelopment of West Avenue area is inevitable but the projects scale and design could have been more accommodating to the pedestrian and human point of view as this is probably one of the most actively walked and biked areas by locals of south beach, if not all of Miami. Agreed re: west ave. 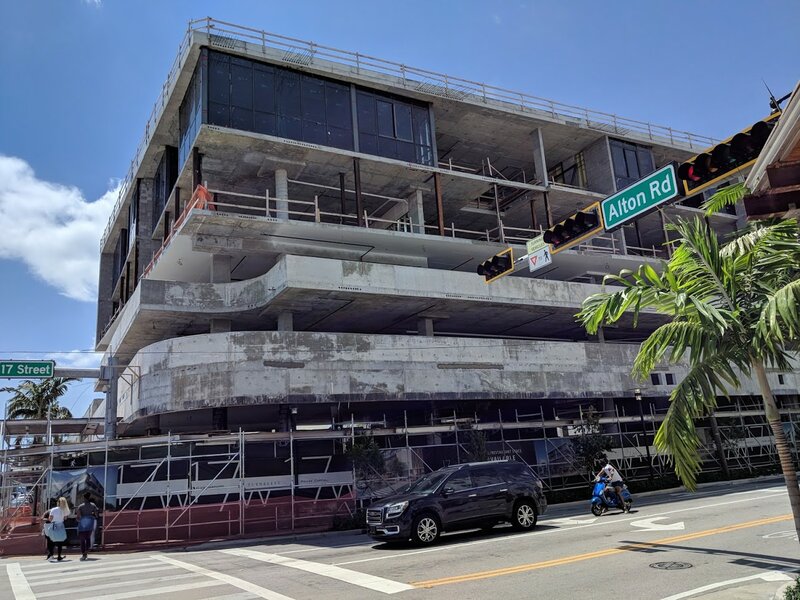 Instead of having the garage egress in the alley, they’ve put it onto West Ave’s bike lane – the only block of protected bike lane in Miami Beach. Miami Dade is a Democrat nest… hence the whining. You people have been wanting and asking for a Trader Joe’s in this area and you got one, now stop bitching and moaning. Did someone steal your Cheerios? 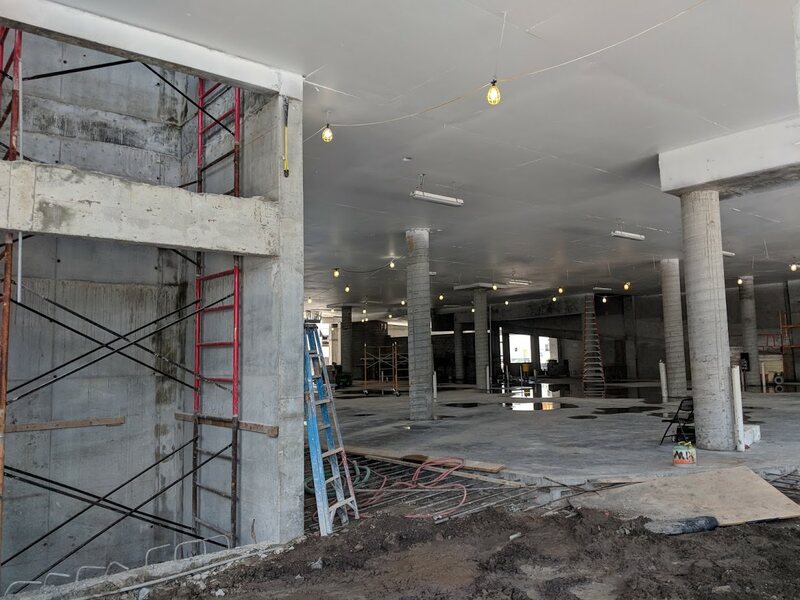 Does anyone know if Trader Joe’s plans to come to Brickell area? RIght now there is only Publix and a 15 minute walk gets you to Whole Foods at 3rd St and 3rd Ave. 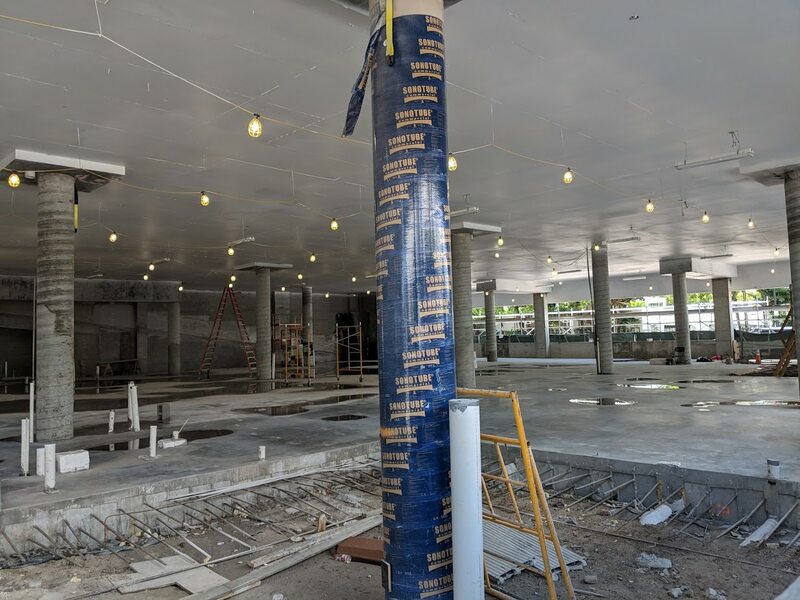 Huge market there at Brickell for a Trader Joe’s. Exhibit A as to why setbacks are needed and should be enforced by CMB. And this is the same developer that is planning to build the Convention Center Hotel. As soon as we vote for “giving the Citi Hall the authorization to lease that land for 99y “ we are @ loss because then becomes a private project. The ads on TV saying “we the People” with 1 million signatures put this “authorization to lease the land for build a hotel” in the ballot is very intriguing. 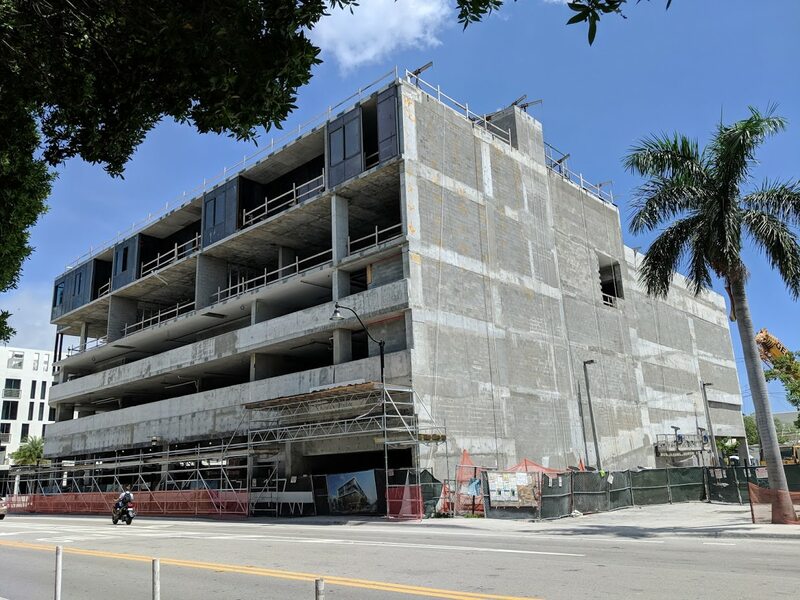 Miami Beach has less than 100 thousand residents and are the only ones that will be impacted by this 17 floor/ 800 rooms hotel. Where was the rooftop green space for the community? These green spaces (high lines/elevated parks) are being done for communities all over the country. Looks absolutely horrendous from the back, hopefully still more work to come. The whole project is a disaster, aesthetically and streetscape. Zero setback. In fact, the garage protrudes over the sidewalk along 17th street. Tiny tiny sidewalk. 17th now is a canyon between west and alton.